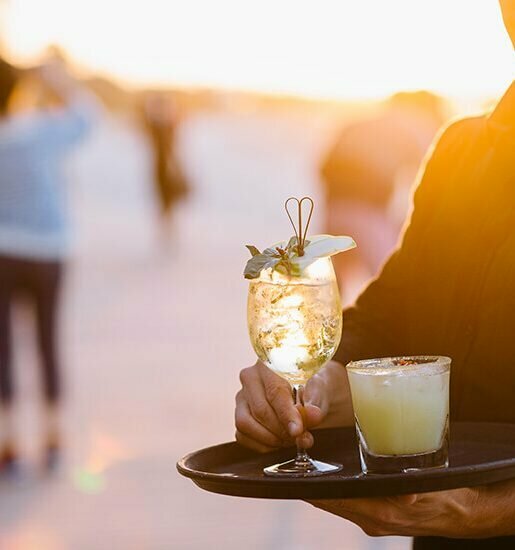 With sand between my toes, wind in my hair and a slightly salty finish on the palate, camel milk is an acquired taste. 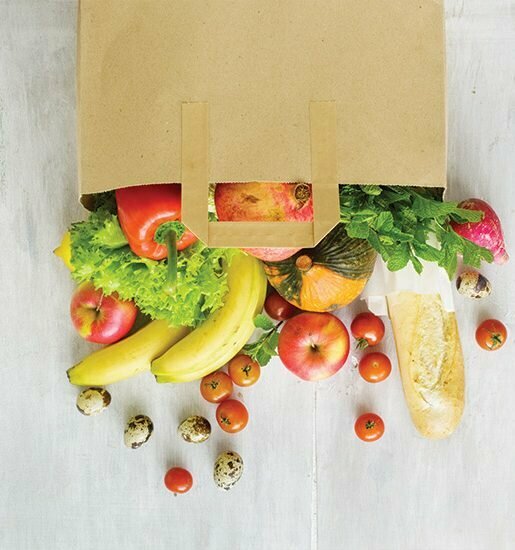 Touted for its abundant health benefits and sustainable practices in which its farmed, it’s become a foodie favourite sweeping the nation. A herd of camels stretch their long limbs and traipse across the grassy plain, forming two lines in front of the dairy – cows on the right, calves to the left. It’s 6am at the farm in Bells Creek, and the girls are waiting to be milked. “That’s Bella, and behind you can see her baby, Grace,” says Yasmin Brisbane, crouching down to bid good morning to the beautiful babe who is poking its head through the gate to suckle at her mother’s teat. “Every single one of them has a name, and they know their names. We don’t tag them or brand them, we know them by sight,” says Yasmin. Upon moving to north Queensland at the height of the drought in 1994, the Brisbane family witnessed the demise of countless agriculture businesses. I thought there’s got to be a better way to do this and I looked for an animal that could be better,” Lauren Brisbane says of her idea to co-graze horses and cattle with camels, who were drought tolerant. 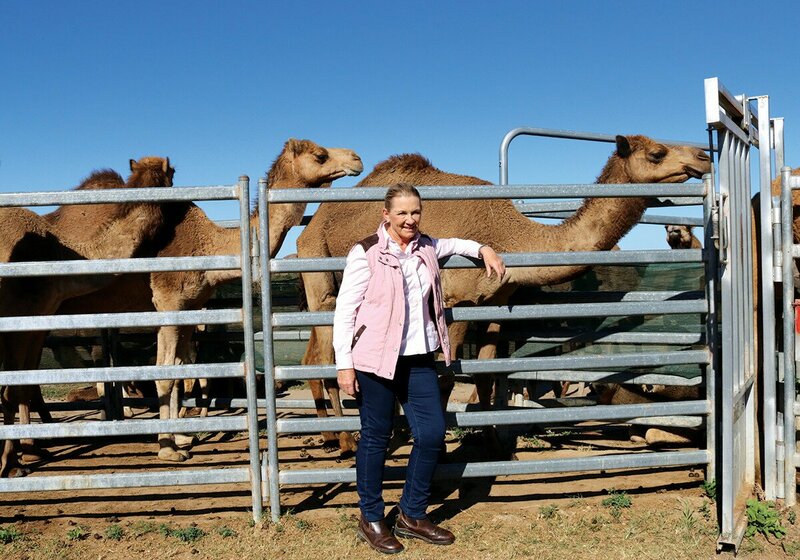 Lauren and her husband Peter went on to fund a study into the development of the camel industry in Queensland and subsequently became founding members of the Australian Camel Industry Association. 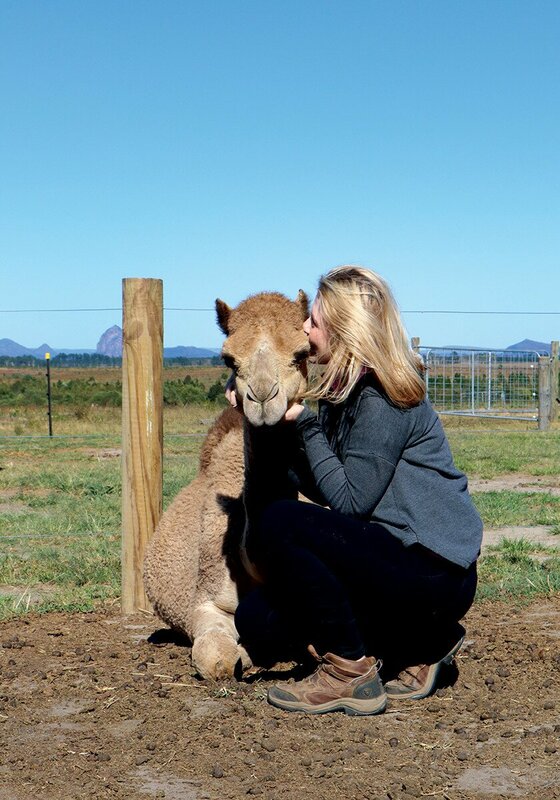 In 2007, the family moved to the Sunshine Coast and two years later bought their first two camels. 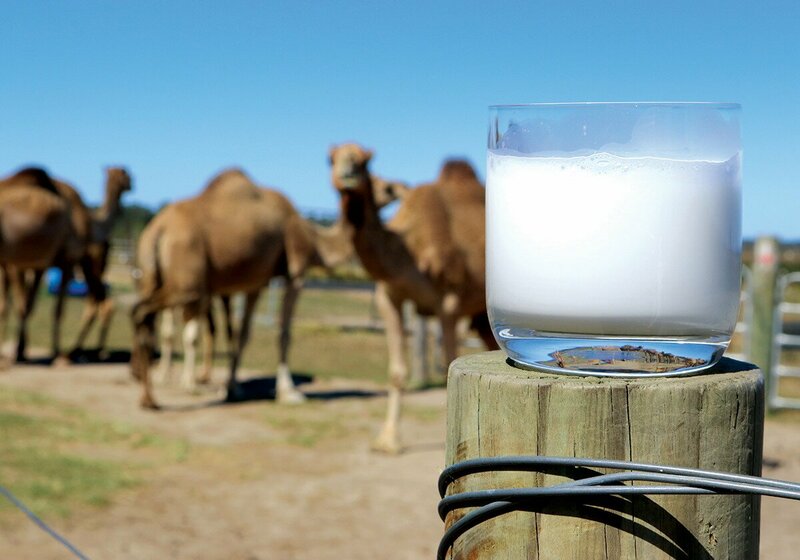 Then in 2014, QCamel was accredited as a producer, and became the first camel dairy on the east coast of Australia, producing the first pasteurised camel milk in the country. “It’s been a long process, an enormous amount of research has gone into it. It wasn’t just about the milk, it was looking at food trends and a lot of science, what people were buying and eating, where people were heading on a health basis, and the ethics of managing camels and how it fitted into us as a family, because we don’t remove the babies from the mothers and we have a no-slaughter policy,” says Lauren. Within the fluctuating flock, there are pregnant cows, new mums and their calves, and dairy cows. And due to their no-slaughter policy, the bulls are either rehomed or they find their place within the herd, naturally servicing the cows without the need for artificial insemination. After a 12 to 14-month gestation, the cows wean their calves at their choosing, varying from two months to two years. Of the dairy cows, only 20 to 30 are milked at a time, each producing between four to six litres of milk a day. “A camel will not milk unless she’s nursing a calf, the babies get 80 per cent and we’ll take 20 per cent, so we’re only taking a small yield a day. And we only milk them once a day because we’re concerned with the calf’s health and development,” says Yasmin. We allow them to live in a natural matriarchal society, so we don’t feedlot them because that disturbs their general emotional health and wellbeing. It’s all part of producing a really good product because if you have a stressed animal, you have stressed milk. Theodora is the matriarch and was one of their first camels, aged 10, she’s about to have her third baby. Then there is Bella, who you met earlier, she is second-in-charge and the leader of the milkers. “She’s very boisterous, but very beautiful, calm and friendly,” says Yasmin. In the short time I spent at the 3000 acre property at Bells Creek, two-year-old Charlie and one-year-old Varian won my heart, offering gentle kisses and cuddles – I can see why Lauren and Yasmin are so passionate about their jobs. “Part of the reason we got into the camel industry is you have to manage them differently, you have to do things ethically, so we really like that aspect and my whole family are animal lovers,” says Yasmin. So what is the difference between camel milk and cow’s milk? 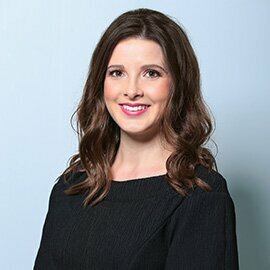 It’s a different molecular make-up to cow’s milk, the biggest thing being it doesn’t have the whey protein which causes dairy allergies, and it’s the closest form to human milk, so it’s very easy to digest, very easy on the stomach and because it has gut healing bacterias in it, it’s antibacterial,” says Yasmin. With 10 times more iron and three to five times more vitamin C than cow’s milk, camel milk is high in omega 3, calcium, zinc, magnesium, protein and does not contain beta-casein 6 and beta-lactoglobulin, which can contribute to dairy allergies. Research has also suggested that camel milk is highly beneficial for autism, diabetes, dairy intolerance, gut and bowel dysfunction, IBS, Crohn’s Disease, and allergies. 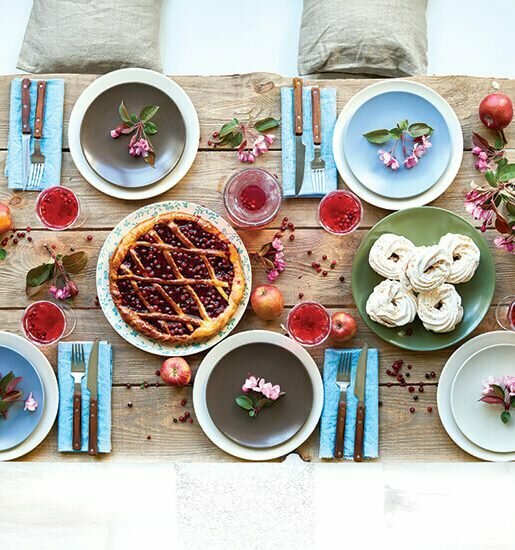 Since launching their business four years ago, Yasmin says there has been a shift in how camel milk is perceived, with foodies becoming more adventurous with their palates and caring more about organic and sustainable practices. 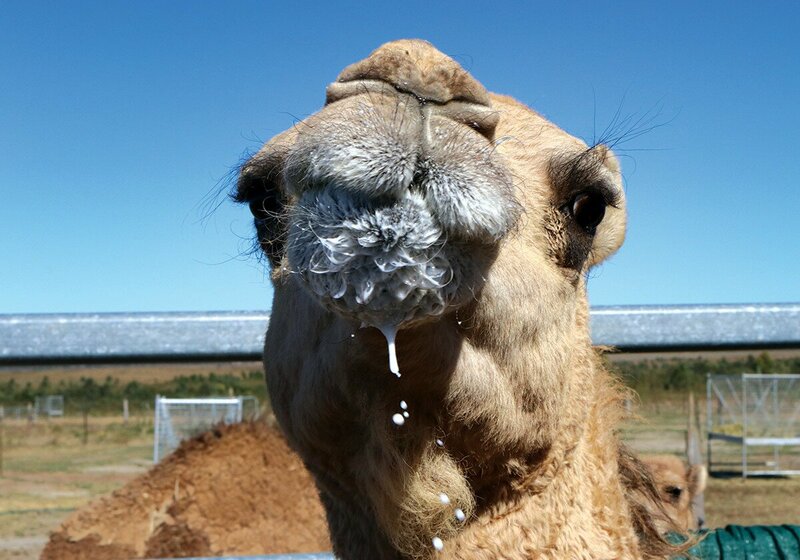 “When we started, people would turn their noses up at us, they thought camel milk was disgusting because it was so new. To cope with growing demand, the Brisbanes are changing the dairy to accommodate more camels, and have introduced products including freeze-dried milk powder, cheeses and chocolates. “We’re also moving more into the export market, we already send over to Singapore and New Zealand, but with the powder, the Chinese are knocking at our door and within Asia there’s a huge demand for it, so we’ll be increasing our production for the international market,” says Yasmin. With this liquid white gold in such high demand, every drop is precious.